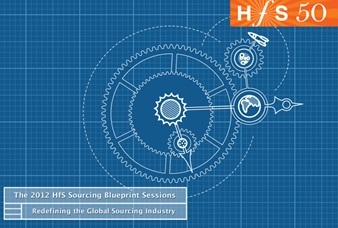 Published today - a blueprint for the industry known as "outsourcing"
Ever wondered what would happen if you locked 41 outsourcing buyer executives in a room for a couple of days, then brought in six of the leading providers to have an afternoon's discussion? Well, now you can read for yourself, as today we unveil our first Blueprint report for this curious industry known as "outsourcing". 4. The need for buyers and providers to partner to foster innovations into business and IT process outcomes. And we (eventually) agreed on 21 definitive recommendations to help ensure this industry (whatever we decide to call it) doesn't slide into the trap of commoditization. So what are you waiting for... download your free Blueprint now! I would like to personally thank all of you HfS 50 Executive Council Members who made such great contributions to the development of the report, the service providers who left the PowerPoint at home and dropped the sales speak for an afternoon, and the HfS research team for all their considerable efforts in making this happen. Hi! This is great! The Blueprint report is going to be a big help! I just saw this post and can't wait to check it out! Thanks!